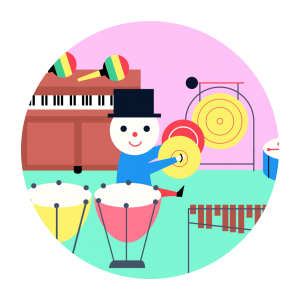 Tongo Music is an educational app for children aged from 2 to 8 years. Our mission is to reach children with a playful educational app that attracts kids and their families to the world of classical music. We are a team of experienced music teachers, children’s illustrators and digital marketing experts from Berlin. The app meets all COPPA requirements and is 100% childproof: free of ads and in-app-purchasing. The high-quality recordings of all music are licensed courtesy of our partner Deutsche Grammophon. "There are so many activities that it will take preschoolers many tries to uncover them all, and they will doubtless visit their favorites over and over"
"Parents will delight in this app as much as their children"
In this app, users travel through an imaginative landscape where they can explore the world of classical music. 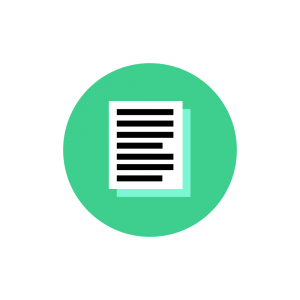 As it’s designed without any text elements, children can use the app alone. Users are guided by an appealing character. Through animated videos and mini-games, kids discover and learn the fundamentals of music, such as notes and instruments. Animated animals lead the user to mini-games and animated films. Here, children can listen to instruments and even play them! by a humorous animal, and played by the character. - Musical symbols: Notes, clefs, pause and note values are explained playfully, and with short exercises. : Known pieces are played in extracts supplemented by an interactive piano keyboard for the user’s own tunes. : Kids can play their own rhythms on several instruments. : 15 high-quality music samples from masterpieces of famous composers, including Mozart, Beethoven, Bach, Haydn, Schubert and Chopin.